Restaurants in Devon - The local guide to Eating Out at Restaurants in Devon and all things Foodie. 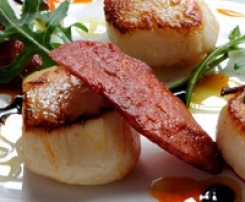 Eat Out Devon champions the best places to eat in Devon alongside Good Local Food. A Great Guide on Where to Eat in Devon, Fabulous Wedding Venues, Local Farm Shops or Fantastic Recipes. Find local Places to Eat, Good Food and Fresh Local Suppliers in Devon. Eat Out Devon is the No1 guide to Good Food and Eating Out in Devon... from Fish and Seafood Restaurants to Fine Dining, from Farm Shops or Farmers Markets to Dining Pubs. We showcase the best Restaurants in Devon, Farm Shops, Local Suppliers and Dining Pubs under one neat roof! 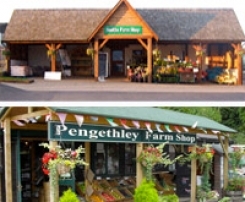 With an abundance of great Local Producers Deven is blessed with some of the finest Farm Shops in the Country. Fresh Meat and Veg, Game, Seafood and Shellfish all feature. Showcasing Devons Chefs and thier Great Recipes..
Devons Best Hidden Gems - The Best Vews, the Finest Food or the Quirkiest Places in Devon! Perfect for special days out, Birthday treats, family away days or that romantic meal for two. We have found the most unsual places in Devon..